My newly opened Etsy Shop! I've been meaning to create a shop on Etsy for about a year now, and I finally worked up the courage to just do it. My just-completed screenprint. This is the first screenprint I've ever done. 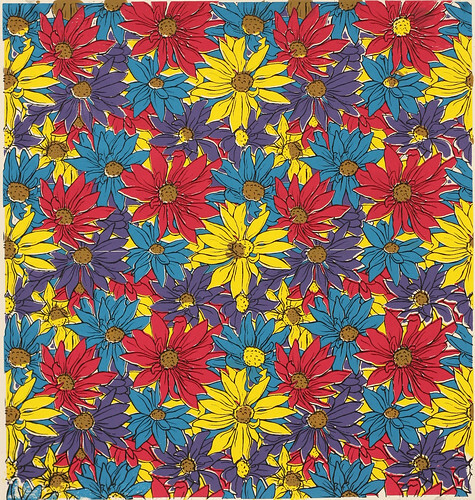 I made the image so it can tile, since I've been really interested in textile designs and patterns lately. My two new fun cameras! 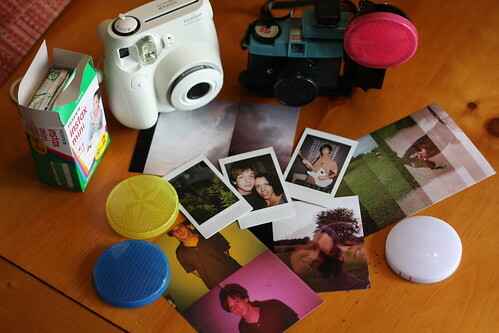 I recently got a Diana Mini lomography camera and a Fuji Instax mini 7x. See photos from my Diana Mini here and from my Fuji Instax here. Fall. My favorite season. Fall has the best foods, the best holidays (Halloween anyone? ), and the best weather. I love when it finally cools off, and it gets cloudy and breezy. I also love finally being able to wear jeans and sweatshirts again. 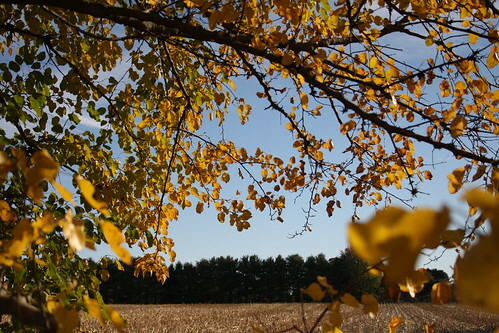 I took this photo last year; the leaves haven't changed color yet around here. Attempting to learn Japanese. Right now I'm in Japanese 1010. It's pretty hard, but I've always been interested in Japan and I've always wanted to learn the language. Finally, my senior year of college, I was able to fit it into my schedule! I hope some day I'm brave enough to go to Japan. This photo I took of Richie next to Richie. 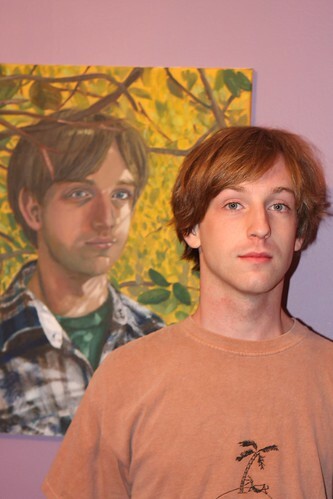 I painted a portrait of Richie, my boyfriend, two years ago for Intro to Painting class. Just the other day, we were in my room and I had my camera out and I was like "What--why did I not take this photo before?" Thanks for reading; be sure to stop by Blue Wonderful and say hello sometime!